Blackburn Plumbing, LLC, has been in business for over 35 years. It is our heritage, reputation, and our 'old school' values of integrity, hard work, and fairness that have allowed us to be trusted for great service year after year. Blackburn Plumbing is a full-service plumbing company specializing in residential, commercial, and new construction plumbing. Blackburn Plumbing was founded in 1975 by Sam Blackburn, Licensed Contractor in the State of Oklahoma and Licensed Master Plumber in the State of Texas. Blackburn Plumbing is currently managed by Sam's son Billy Blackburn. Blackburn Plumbing has been family owned and operated with one goal in mind. That goal is to provide quality service by using the best team and parts the industry has to offer. Following this tradition has led Blackburn Plumbing to become one of the most technologically advanced and innovative plumbing companies in the market, yet we are still a company small enough to know you, but big enough to serve you. In today's customer service driven society, timely, friendly, and proactive service is a valued commodity. With our long term experience in the plumbing industry we know how to meet and exceed each customer's expectation with service that repeatedly sells. This is a value that has been instilled in all of the employees at Blackburn Plumbing. At Blackburn Plumbing, our ultimate goal now, is to create clarity in both name and our overall service portfolio. Our top priority is to ensure customer satisfaction. Blackburn Plumbing, LLC, has been in business, in the state of Oklahoma, for over thirty-five years. 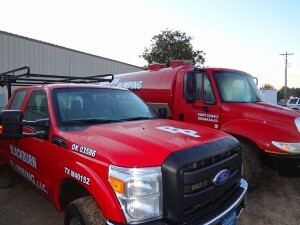 Blackburn Plumbing has recently expanded to include several counties in North Texas. Blackburn Plumbing specializes in both residential and commercial services and construction. 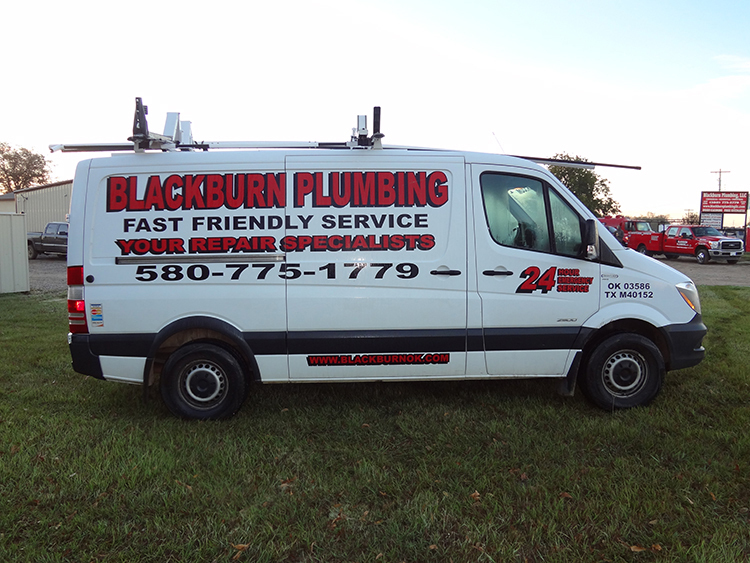 Blackburn Plumbing also offers; pump truck service, portable toilets, and septic/aerobic installation and service. At Blackburn Plumbing we take pride in being a full service plumbing company. Here are just a few of the things Blackburn Plumbing specializes in: Water Heaters (Including Tankless), Septic/Aerobic Installation & Maintenance, Drain & Sewer Cleaning, Gas Lines (Installation & Repair), Showers, Tubs & Toilets, Video Camera Pipe Inspection, High-Velocity Water Jetting, Line Locating, Disposals, Slab Leaks, Pipe Thawing, Mobile Home Plumbing, and Portable Restrooms Rentals. Blackburn Plumbing provides services to both residential and commercial customers with year round emergency service, on a 24/7 basis. Blackburn Plumbing, LLC. © 2017 | CBO Technologies Website Design.